Wazdan Limited is one of the latest games providers, holding an MGA license and is based in Cyprus. The video slots and table games have been created to be compatible on desktop and mobile devices. Wazdan also offers white label solutions. If you have an interest to start a new online casino, Wazdan offers a turn key solution including website design, games content, back office with enhanced marketing tools and payment services. 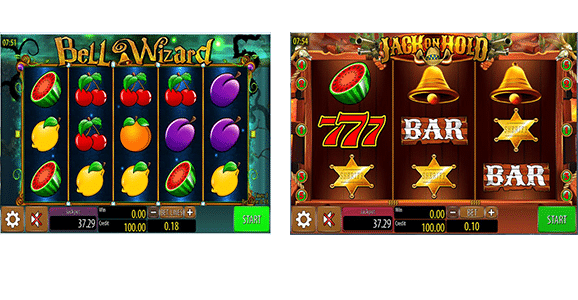 Some of the games provided by Wazdan are Jackpot Builders, Hungry Shark, Haunted Hospital, Back to the 70s, Magic Target Deluxe and the most recent game, Valhalla, which is a stunning 4-reel, 54-payline video slot that delivers amazing graphics and high-quality sound effects! 100% up to €500 + 200 Extra Spins! 18+ ONLY. Minimum deposit is €20. Wagering requirement for deposit match bonus and winnings from free spins are x30. Up to 120 Volt Spins - No Wager on Winnings! Valid for new players registering from 04/02/2019 – to 30/06/2019. Must be claimed within 35 days of account creation. Max credited Volt Points = 12000. Volt Points will be credited to players accounts and players choose their Volt Spins from the Volt Shop. No wagering on Volt Spins winnings. Max winnings from Volt Spins is £500. Min first dep of £20 required. Neteller & Skrill deposits excluded. Volt Spins must be used within 7 days of being granted. Further T&C’s apply. 18+, 10 No Deposit Spin, 50x wagering requirement. The minimum deposit for each deposit bonus is £/$/€10. The bonus and winnings from the bonus spins are subject to a x50 bonus wagering requirement before withdrawals can be meet. 18+, 30 No Deposit Free Spins on Starburst. Minimum deposit of €$20 required, x35 times wagering requirement on bonus amount. 10 No Deposit Spins + 100% up to £/$/€200! 18+, Wagering requirement on winnings from the bonus spins and the cash bonus is x50, Minimum deposit of £/$/€10 required, Insert bonus code to opt-in for bonuses. 5 No Deposit Spins + 100% up to £/€/$200! 18+ Only, 5 No Deposit Spins - max cashout $/€/£20. Minimum deposit of £/$/€10 required, 50x wagering requirements on bonus amount. 200% up to £/$/€200 and more! 18+, Minimum deposit of £/$/€10 required, Use bonus code to claim offer, Bonus wagering requirements are x50.